The origin of Streetfighter can be traced back to 1977 when John Sykes (yes, THAT John Sykes) and Dave Westrop paired together to form a band with a twin guitar attack. 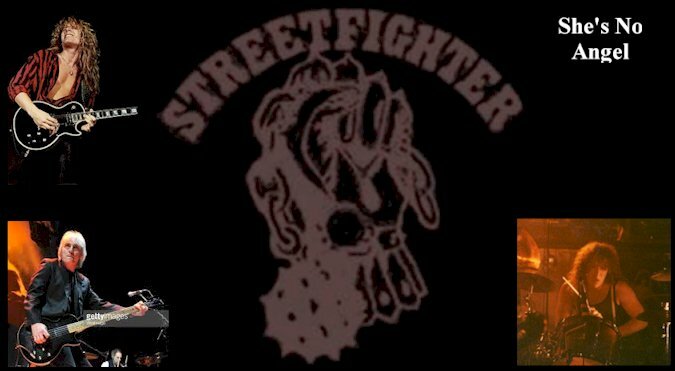 Within months bassist Merv Goldsworthy, drummer Gary Taylor and vocalist Lee Fenton completed what would soon be known as Streetfighter. Nearing the tail end of 1980, before Sykes successful venture to Tygers of Pan Tang, "She's No Angel" was recorded for the New Electric Warriors compilation. This would mark the band's first vinyl appearance and despite a small reaction from fans and journalist, "She's No Angel" is quite the rocker! It's no surprise that Sykes ended up in Thin Lizzy as the track features flashy blues-fired guitar licks, guitar harmonies and gruff vocals warning of the biggest deceiver of all for any man-an evil woman, of course! · Testament · Prowler Inc.